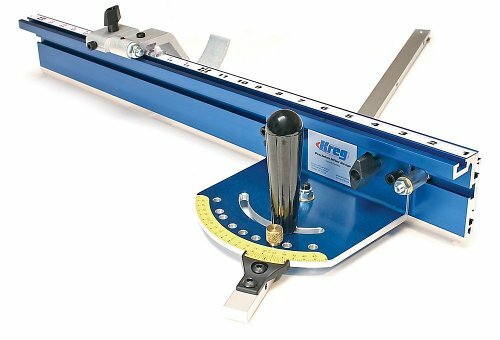 I have been using the Kreg Pocket Jig for about eight years and have been totally satisfied. For cabinet construction, I generally use pocket screws in conjunction with biscuits. It may take a little longer, but the end result is perfect alignment and no clamping reqired. 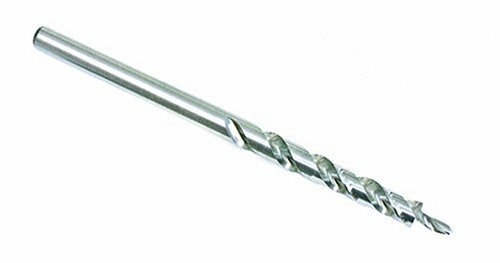 Even though the body is made out of plastic, which is substantial and well done, the steel guides are the only thing the drill bit touches. Pocket hole joinery is a nice addition to your arsenal. 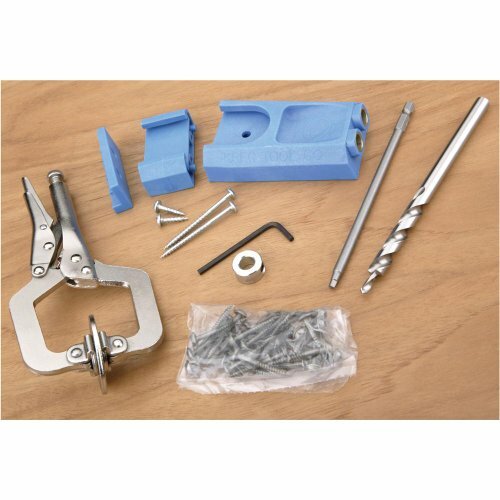 You will find yourself incorporating it more and more into your projects, and the Kreg system is the best. Highly recommended. I just used this today for the first time to build a frame for a pirates chest for my 5 year olds' birthday party. Quick easy joints that looked great. Loved it. I build cabinetry and prior to getting my Kreg I used a mix of T&G, dowels, and biscuits to join boards and frames together. For your basic furniture construction this device is simply amazing. Attach the jig to one face to be joined, run the special drill bit (included) down one or both fixed metal ferules, unclamp and use the Kreg screws to attach the two parts. I can now build furniture, test for fit in the shop, take it apart, apply finish and rebuild on site. On the downside it leaves a rather gaping hole on one side of the joint so it is not the preferred method for joining boards that are visible on both sides. They sell wooden plugs (in different wood species), but I am not impressed with them as they take a lot of fiddling to get them in and flush. 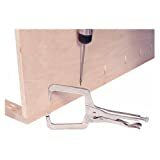 I also have not used it for joining boards into panels (table tops or cabinet sides) because I prefer an old school biscuit joint with good clamping technique for a flush surface. However like I said earlier. This is a heck of a tool. It makes for speedy face frame joints and handles my ¾ inch plywood joints very easily. Plus I can literally build the cabinet piece by piece and take it apart to finish or move it. For the price, the rocket pockethole kit is a very good value. 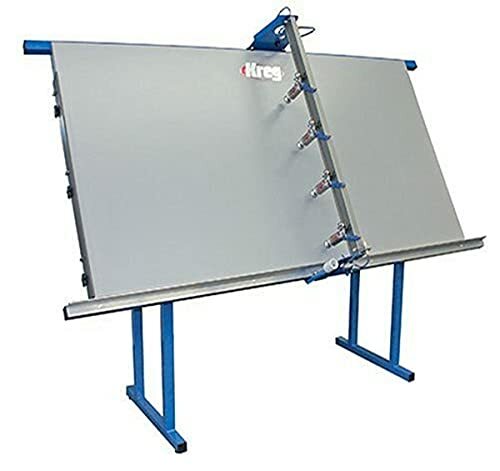 If you build cabinets or furniture, than this is a nice tool to have it your shop. (BTW: order extra screws - personally I find I use the 1 ¼ coarse thread screws on just about everything). I bought one of these little jigs to see if pocket screw construction really was as great as the advertisements say- and I'm here to tell you it's even better. I'd used biscuits in the past to build cabinets, but pocket screws can be set up faster and require no clamping when gluing. 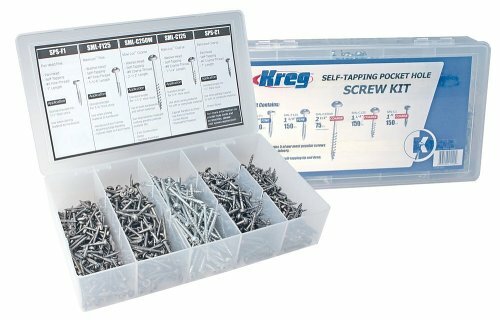 The only downside is that pocket screws, unlike biscuits, aren't totally hidden from view- but the holes can be hidden in a lot of built in construction or filled with oak or maple plugs available from Kreg. 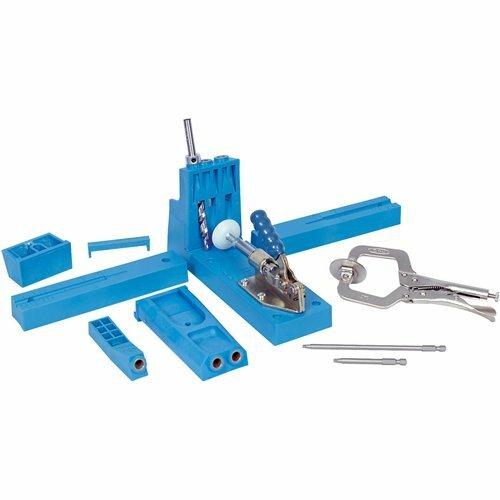 This little Kreg jig has a plastic body, but it's a very high density synthetic and should last a long time. The kit has everything you need to get started, including screws, but you'll probably want to get a bag of another 1000 if you plan on doing more than a few boxes. I had read a review that stated they were using the fine screws for everything. I found that when using soft pine, and more importantly into plywood, the fine screws were on the edge of getting the job done. All you had to do was remove one of the screws and reinsert it, to see what I mean. In my opinion getting the coarse screws, and the fine screws is essential. These screws have a very sharp tip on them, and the shaft thickness is thin as well. Consequently you do not need to pre-drill unless you are using them close to an edge of a soft wood. In that condition the thin edge can bulge a little. The great thing about pocket hole screws is their convenience, and strength especially when used in pairs. You will find your self using these more and more often. I even use them on straight joinery by drilling with a forstner bit to create a straight pocket, then go right in with the pocket hole screws. Admittedly by using the kreg jig, and getting an angled installation is stronger than going in straight. The angle prevents tugging on just the threads, but rather creates strength by having to pull the angled shaft through the wood. That is a lot stronger except in the rare condition of pressure being exerted at the direct angle of insertion-not likely. Their is some difference of opinion as to whether it is advisable to use glue in conjunction with pocket hole screws. One camp states that since the screws hold so well when done in pairs, that you do not need to use glue. Additionally, that gives you the option of being able to remove the joint, in the event you need to resize for example, or disassemble for shipping. Additionally their argument states that since the pocket hole screw system holds so tight, any glue that is put in the seam will be squeezed out. The other camp feels that for security purposes, gluing and screwing is the way to go. In the book, "Building Kitchen Cabinets" by Udo Schmidt (an excellent book by the way) the author states, "The expense of a pocket hole-drilling jig will easily be repaid in the time you save assembling face frames. 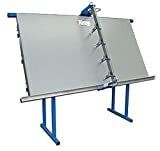 So if you are contemplating getting the Kreg jig assembly, it comes highly recommended. If you are thinking about buying the screws, I recommend you getting the coarse and fine screws in the 1 1/4" format, since they are useful for joining 3/4" wood. 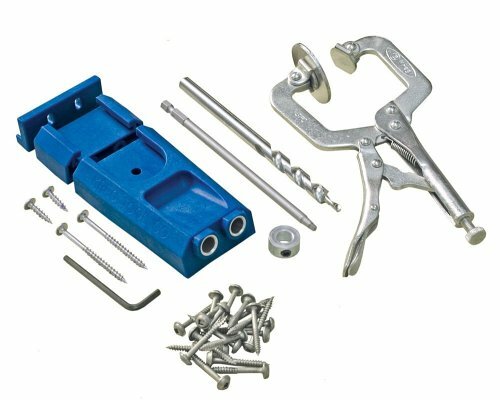 Additionally you should get the screw kit with a variety of different length screws for those times when you are dealing with different stock thickness. 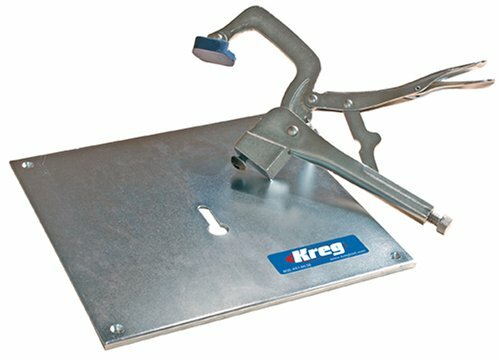 In a recent magazine doing a run off of different manufacturers pocket hole jigs, Kreg took first place in every size jig-first place across the board. Hope this helps. Factory Calibration. Guaranteed out of the box to .003 accuracy of 6"
I bought these with the Kreg Pro Pack Pocket Hole Kit. They do the job well. Other sizes are available as well. 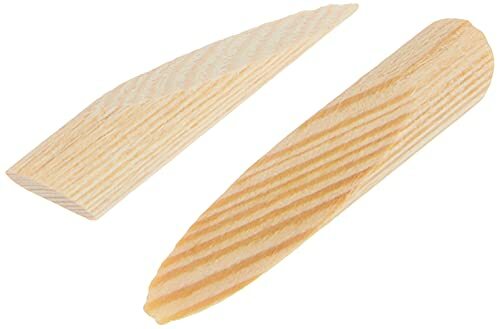 It is a good idea to stock up on this 1 1/4" size, since they are intended for use in the most popular wood size of 3/4". That way you get 1/2" bite into the joining wood. These fine threaded screws are made for hardwoods. The point is so sharp that they will go into Red Oak without having to drill a pilot hole. Even though the Kreg jig comes with a drill bit with a tip on it, that bit does not even penetrate the first piece of wood, let alone the joining piece. They depend on the sharpness of these pocket hole screws to make their way through even the hardwoods. The shaft is narrow enough so as to not cause a split. A coarse thread is available for soft woods as well. These Kreg screws are well made, and do the job well. Hope this helps. I have just built an entire set of kitchen cabinets using hickory, which is very hard in case you haven't worked with it before. I did not have one twist-off or spin-out with these screws. Excellent screws. I bought the Kreg pocket hole kit and love it. It comes with a few dozen 1 1/4 screws, and I bought these thinking they are the same. These are the Pan Head, which are nice, but the ones in the kit are washer heads that have more purchase on the bottom of the pocket. The pan heads will sink into the wood, even using walnut and cherry. I have not had one fail yet, but I worry that they sink about 3/16" deeper into the joint than the other screws. 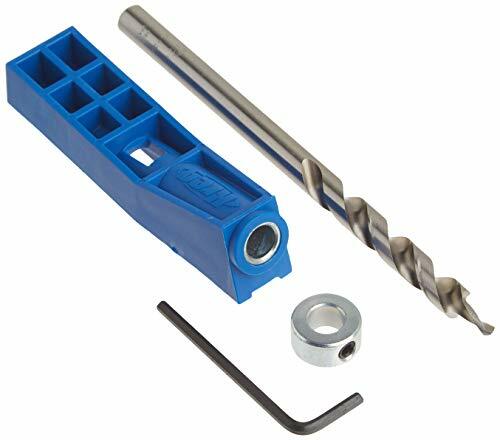 Visit the Kreg site to find the whole assortment of screws and plugs. What makes true happiness? Love, a good job, lots of money? Well I think it is none of those. I believe true happiness comes from screws and how well they go into the woood. It was a beautiful day, the sun beat down, I had the radio on, I was driving around. Trees went by, me and dale were singing "little run away" I was a flying. 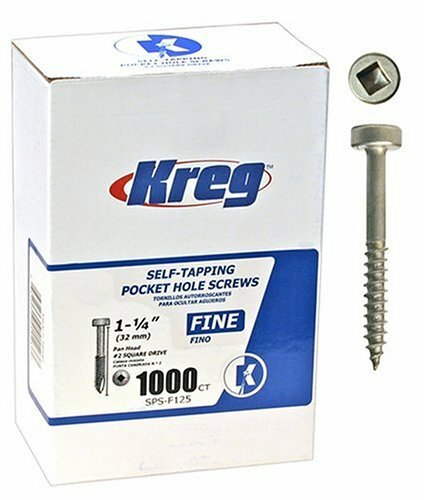 I got the Kreg SPS-F125 1-1/4" #6 Fine screw in a 1000 pack equiped with duel tighten control force feedback, notch haver plug and of course the rifts that make it tighten on a dime. I was running down a dream that never would come to me, working on a mystery going where ever it leads, RUNNING DOWN A DREAM. I used my brand new "built ford tough" type screw driver and the screws just cut right through that wood it had to be one of the best days of my life. I'm a big man but i'm not afraid to admit i cried there, cried like a little baby. These screws just ooze into wood like a hot knife through butter. 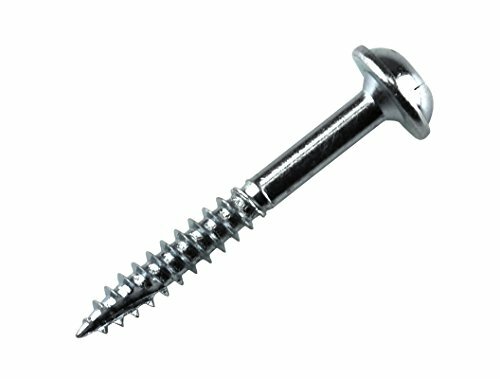 Since using these screws to repair a drawer and refasten a picture frame, I've had a few compliments for my fine taste in screws. First I drilled tiny holes to accommodate the insertion. My original thought was that I would have to drill two sizes larger that the tiny initial hole I drilled. Not to be, for these fine #6's slid right in there with that finely honed point that was lovingly crafted at its beginning. Of course I can't go in to detail as to the overall longevity of the beautiful finish. These screws that I've used have only been in place for weeks. 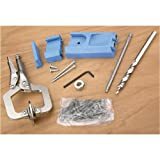 I purchased the Kreg Pro Pack unit, that comes with this bit. My feeling is that since it is the only one, if for any reason I am in the middle of a project and the tip breaks, or I have any other problem with it, I don't want to be left standing while I wait for another one. So I bought it as a backup. This bit does a great job, and the Kreg pocket hole systems won top of class award in every category in a recent run off by one of the top woodworking magazines. They won in every size, and every model from the mini on through to the professional bench top. I don't really anticipate having a problem with the drill bit, but when doing this for a living, you need a parachute, in the event the unusual happens. This bit is built strong, and is rather large, so breakage is not likely, but the tip that protrudes on the end is a lot smaller, and that could possibly break. 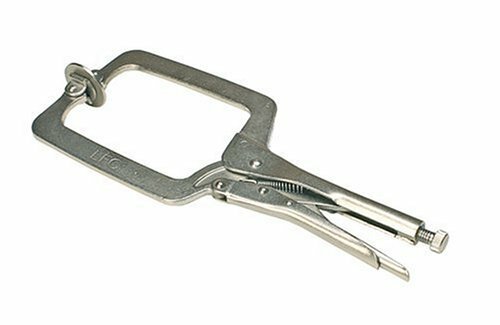 Additionally, if you are pocket holing all day, the bit could dull, and that would requires a replacement. Everything from fine joinery to toe-nailing rough framing.A must have for any kind of carpenter/woodworker.Definitely worth the price. 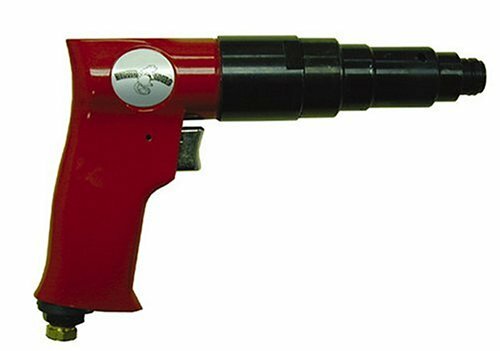 Produces a clean pocket hole that can be plugged. Made form cobalt steel for longer life. Drill pocket and pilot hole in one stroke. 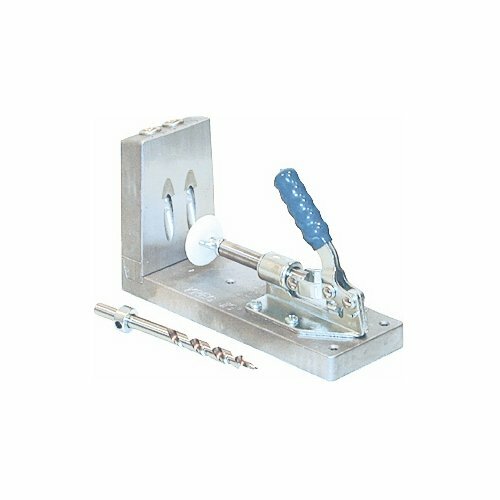 For use in all Kreg machines and manual jigs.